Some of the Nokia phones that we could see at MWC in February include the Nokia 4, a 2018 version of the Nokia 6, the Nokia 7, as well as a 4G variant of the Nokia 3310 feature phone. There are also rumors about the debuts of flagship-grade smartphones the Nokia 8 (2018) and the Nokia 9. 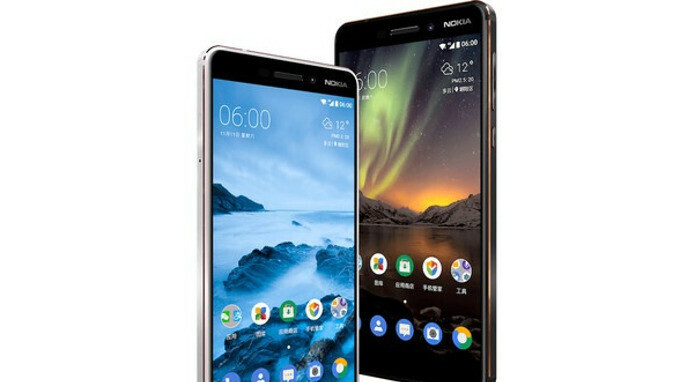 At last year's Mobile World Congress, the company unveiled a budget-friendly lineup consisting of the Nokia 3, 5, and 6 in addition to the 2G variant of the redesigned Nokia 3310. HMD had its global premiere at the 2017 exhibition, so most tech fans were more than happy to just see Nokia-branded phones back on the market. However, with Sarvikas hyping up this event, it is indeed possible that we could see the announcements of some high-end handsets in addition to the expected mid-rangers. First Android with truly no top and bottom bezels ? Or just another boring super-tall "bezel-less" phone with a measly 3000mAh battery ? Where are the front facing camera(s) going to go? Trust me: I would love to see the same thing, but they have to go somewhere. Do you put them in the corners at the top? I would like that more than in the center. I definitely think the bottom bezel should be eliminated and I applaud Apple on doing so, but I am in no way a fan of the center notch. Why someone couldn't release a model without front camera? All i want is Great camera and Lumia camera UI. Yeah say that again. I was disappointed that they overlooked the camera UI in last year's flagship. And the truly "Pure, secure and up-to-date Android™ Oreo OS" . I really hope to see something awesome, as I was used to see in the past, at most of Nokia releases. Will be watching for the new Nokia's! Hope so. Wasn't really excited about their 2017 lineup. I am exited, let's see what Nokia will bring! So far I've not been impressed with anything they've released. They've all cost too much for not enough. Motorola and Huawei have offered better for less. Step it up or I doubt you'll make it. if its a flagship phone... "Take my money"... i will back stab my Samsung s7 edge anytime for it. and please... BIGGER camera SENSOR is all I need.